A stunning 2 bedroom, 2 bathroom riverside apartment situated next to Albert Bridge in the striking Waterside Point development. 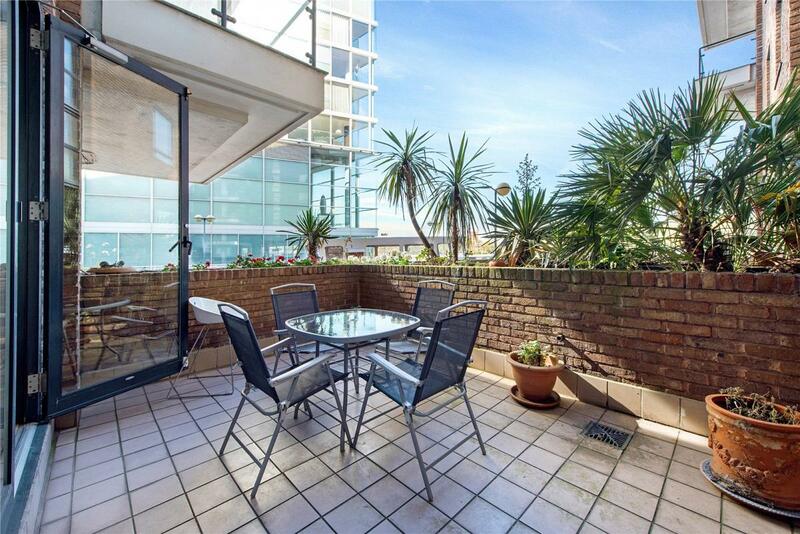 This exceptionally large ground floor flat has a private terrace and spacious reception area and hallway leading off to a large bedroom with en-suite bathroom. There is a fitted kitchen and second shower room and second bedroom adjacent to the reception. Waterside Point is conveniently located on Anhalt Road, which is adjacent to Albert Bridge at the north west corner of the open spaces and varied leisure facilities of Battersea Park, also Chelsea & the Kings Road are moments away. The flat is to be sold end of chain as leasehold with share of freehold. "The large apartment is has a private terrace with views of the River Thames and is close to Battersea Park and Sloane Square"